Dami talagang sira-ulo sa Amerika | PinOy SPY! 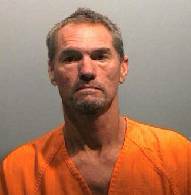 53-year-old Duane Morrison killed a student and committed suicide during a hostage taking in a Colorado high school. Before he killed himself and one of the hostages, he sexually assaulted some of them. Police also found a suicide note. Buti pa mga illegal immigrant, matitino, hehe. Hello, this is a blogengine web site right? Can you take a look why it seems i cannot get any comments approved on your weblog? I mean i’m having a excellent read right here and I just attempt to give a small postive responses on your blogposts 🙂 I discovered some fascinating content here btw.. Keep up the wonderful work! | PinOy SPY!. Carry on the great work, I’ve added you to my blogroll. | PinOy SPY! jogs my memory of my old roommate! He always kept speaking about this. I’ll forward this post to him. Pretty sure he will have a superb read. Thank you for the knowledge you publish.